These are like music to my ears. I need to share this with you. 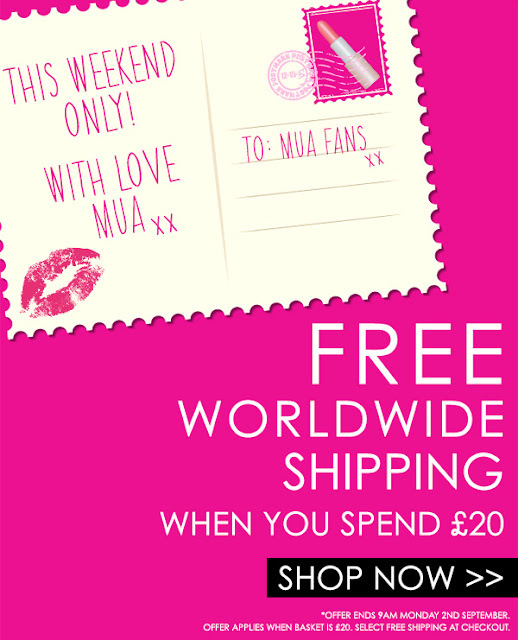 MUA is having free shipping over 20£. I am eyeing the fashionista range this time – specially the Fashionista Loose Powder and nail polish. The 1 £ nail polish were not that great for the low staying power. 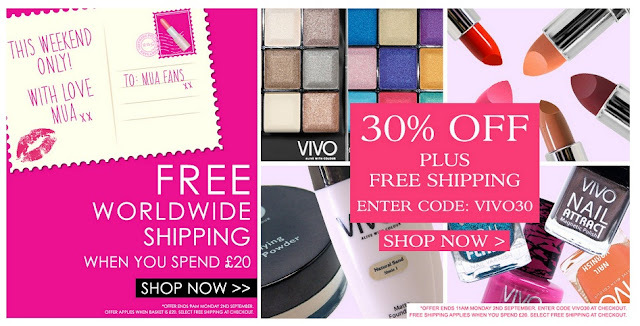 Vivo has gone one step ahead by 30% and free shipping over 20£. (MUA also have loads of offers on individual products). I have never shopped from Vivo and I am also not aware what is good from this brand. If you ever found something great or heard good about any of their products then please please please let me know.